In a previous Highlights, we talked about the Minton Mermaids jardinière in the WMODA collection that appears in the musical movie Annie. 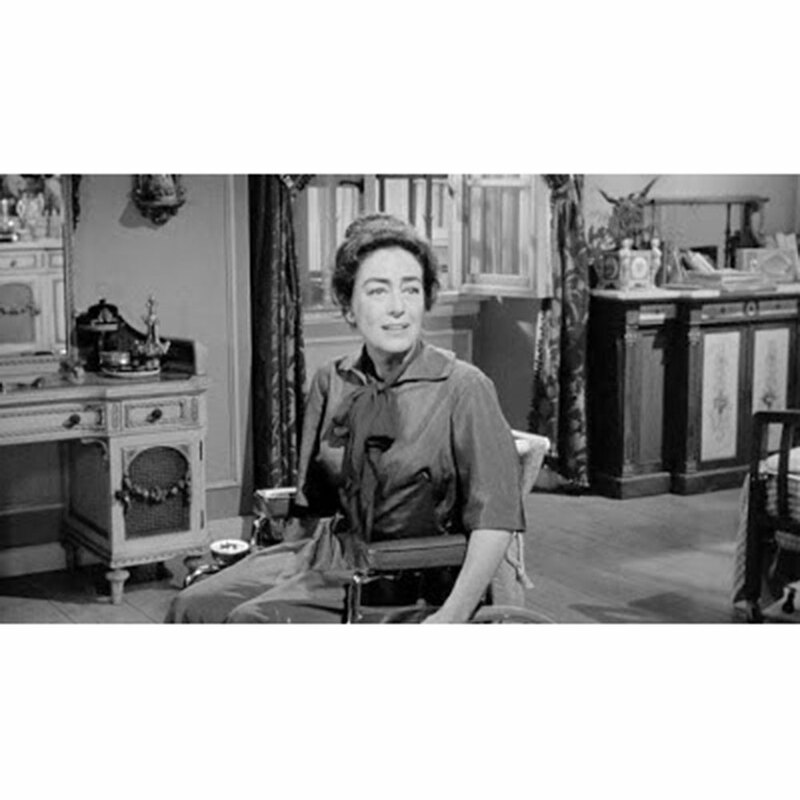 Now we have spotted Minton china cachepots in two classic movies. 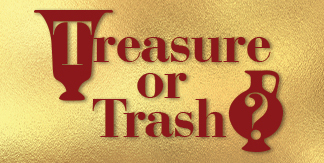 The Minton cachepots were obviously favored Hollywood studio props to suggest opulence and glamour. 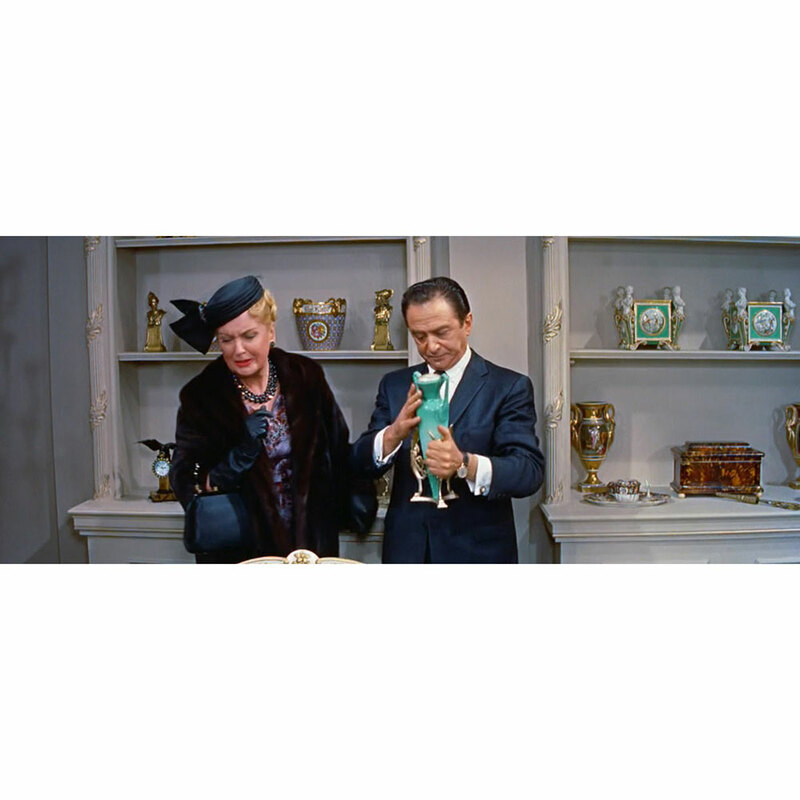 In Pillow Talk from 1959, Doris Day plays the role of a successful New York interior designer and the Minton antiques appear on the shelves of a shop she visits. 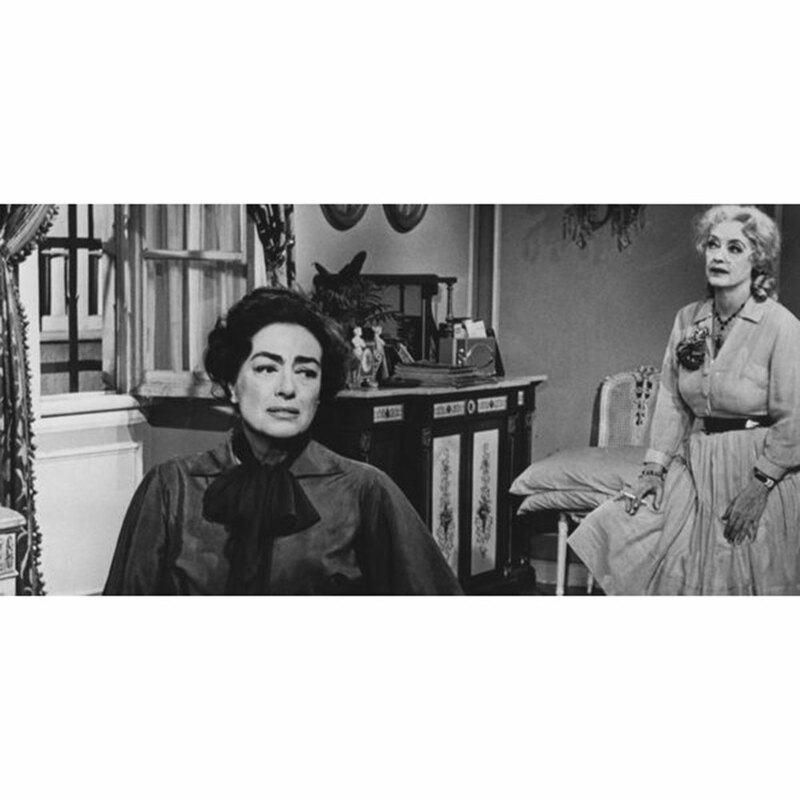 In What Ever Happened to Baby Jane starring Joan Crawford and Bette Davies from 1962, one of the Minton cachepots can be seen on Blanche Hudson’s dressing table and the second is in another room of the sisters’ faded Hollywood mansion. 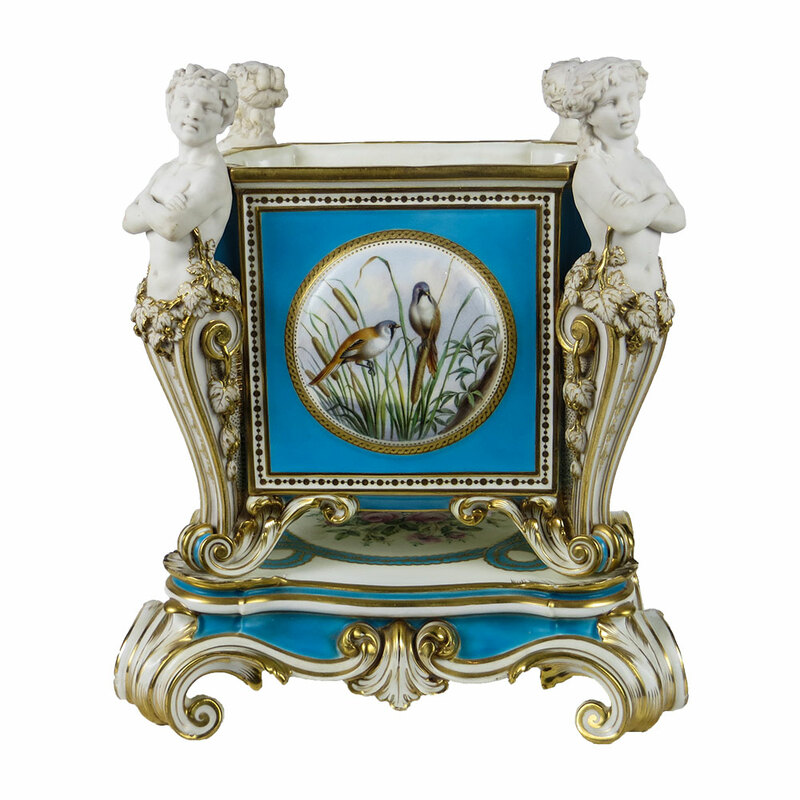 The Minton cachepot design is named after the celebrated Neo-classical sculptor Bertel Thorvaldsen. It was modeled by Pierre Emile Jeannest in the 1860s and produced in Majolica glazes as well as fine bone china with Parian herms of satyrs and bacchantes. WMODA has a pair of Thorvaldsen bone china cachepots painted with birds, roses, garden tools and musical instruments on a turquoise ground.